Lavos is this frightening parasitic being that came to the planet in 65,000,000 BC to siphon off the energy of the planet. When he became strong enough he burst from out of the surface of the earth and destroyed everything in his wake. When our time travelling heroes found what Lavos has done they decided to stop it before it gains the strength to destroy the world as they know it. Seeing all the fire and brimstone reminds me of scripture. In the bible Peter tells us about the Day of the Lord in 2 Peter tells us what to expect to see when the world is destroyed and the day of the Lord is at hand. God destroyed the earth the first time clearing out every person except Noah and his family (Genesis 6:5 – 10:32) and with that he promised that the world would not be destroyed via flooding again (Genesis 9:11) so we have to see us getting destroyed by fire. But Jesus tells us of things to look out for to know when the time is drawing nigh. We only have to look to Matthew 24:3-9. In 2 Timothy 3:1-5, Paul elaborates, “For people will be lovers of self, lovers of money, proud, arrogant, abusive, disobedient to their parents, ungrateful, unholy, heartless, unappeasable, slanderous, without self-control, brutal, not loving good, treacherous, reckless, swollen with conceit, lovers of pleasure rather than lovers of God, having the appearance of godliness, but denying its power.” We are sadly seeing much of this coming to past now in our life times. With earthquakes and famine happening all over the world. Many of us, are guilty of becoming colder individuals. We constantly hear the talking heads of media justify wars in other countries and we are still dealing with a war without a planned end. Sadly as well we also have false prophets all over the airwaves telling us what we should believe and we accept it as biblical truth because they run a church. We stopped being followers of God and become followers of men who proclaim to speak the word of God. They want to live like Jesus but doesn’t preach the word like him. They turn church to a feel good affair rather than a place for those to build knowledge and learn how to express the knowledge, the Word of God. We are seeing the final days. But as we discussed earlier you must ask yourself if you have the courage to take the task and endure until the end. I pray that you all do. Heavenly Father, thank you for telling us what to look out for in the end of days. Jesus tells us in Mark 13 that we will not know the day or hour of your coming but I pray you give us strength to endure to the end. Please guard our hearts so that it doesn’t grow cold. Please allow us to have a watchful eye and cautious ears so that we do not fall prey to the false prophets that will take us away from your glory. I am so thankful for all that you have done, doing, and will do in our lives. You know what’s best for us. In Jesus Name, Amen. 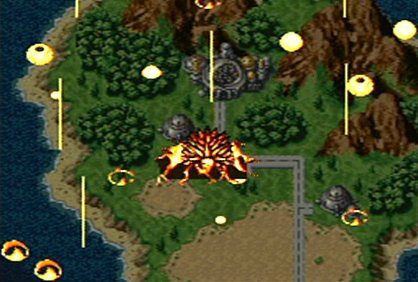 Chrono Trigger is relatively based off of the Bible. Crono is supposed to represent Jesus and Lavos is the devil. Lord janus represents judas. There’s a lot more similarities too. I have to read up on that. Well Crono does die and get resurrected. Yeah. There’s a lot more similarities than even i know about. Its deemed one of the greatest games of all time because of its biblical roots.